In spring 2016 my brother Adam came up from southern California with a 30-inch tall Panache Fig tree from his garden that he transplanted into a 10-gallon pot. 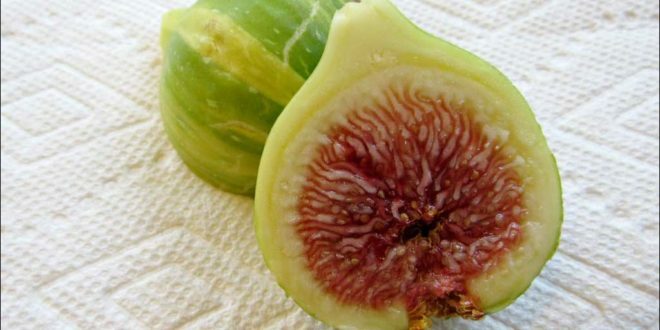 The Panache Fig (aka Tiger Fig) has a yellow and green-striped skin with a strawberry-colored flesh. 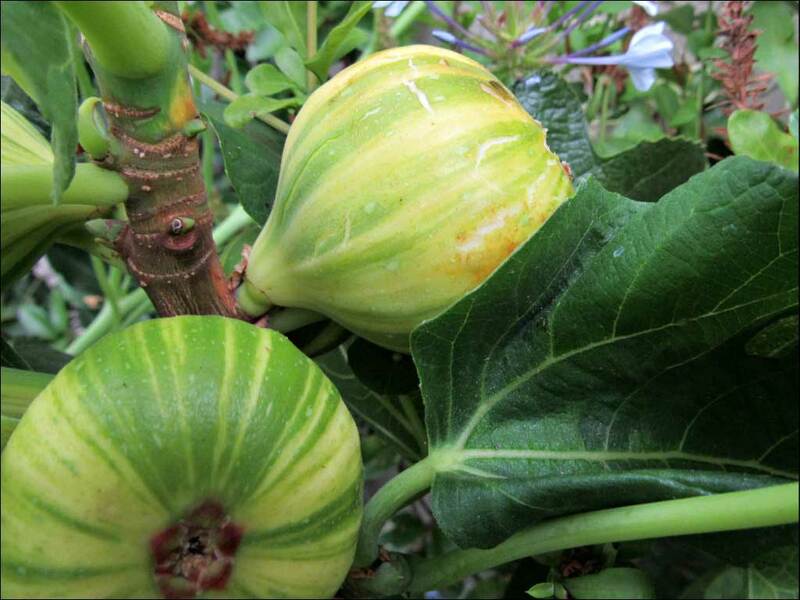 Unlike our Black Mission Fig, the Panache Fig does not have a spring crop. Because it loves the heat, I potted it next to our south facing wall. The 2016 fall crop was small but as expected. 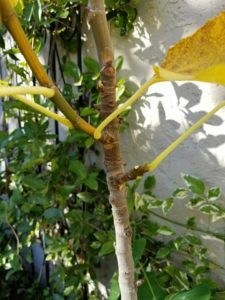 In spring 2017 I transplanted the fig tree into a 15 gallon pot. It loves the heat. It produced a larger crop. 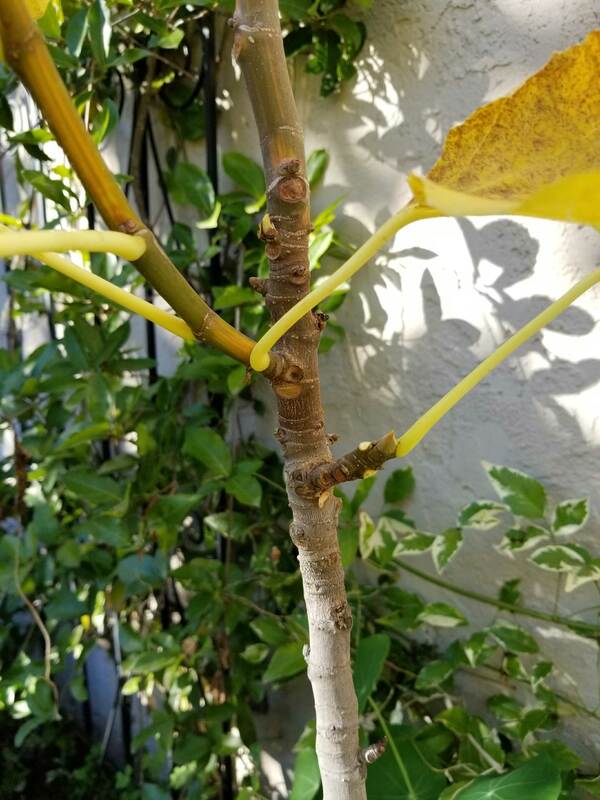 Also it grew 30 inches on the main trunk. Notice the difference between the brown-gray older trunk and the greenish 2017 growth on top. 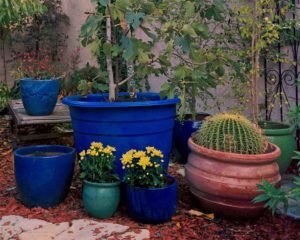 I am sure it would appreciate a larger pot. 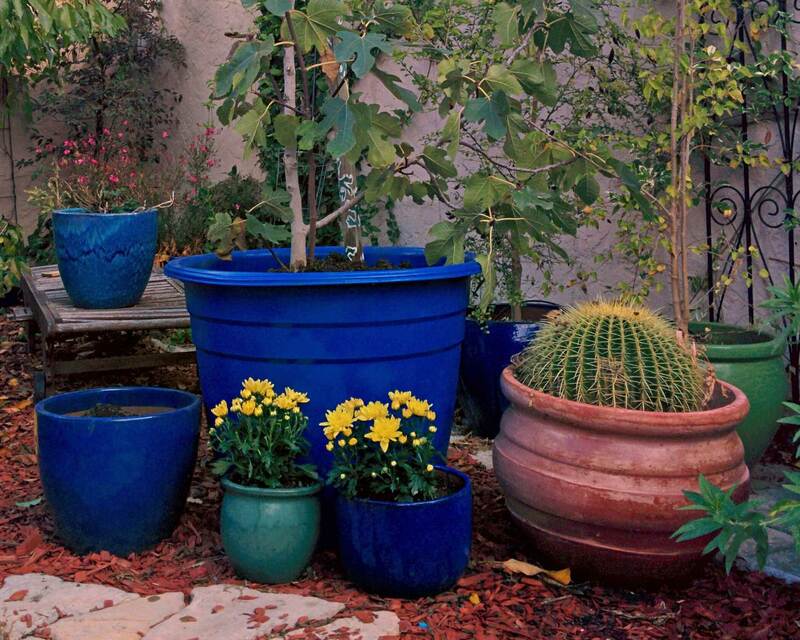 I keep looking but haven’t found another jumbo 66-gallon pot where I have the Mission fig tree.